The nerd/geek/enthusiast/whatever-you-want-to-call-it space is extremely diverse. This becomes more clear every day, with more focus on gender and racial diversity than ever before. Despite the push, we’re not at an ideal representation point, and many members of the geek space are making huge efforts to increase visibility. The hosts themselves represent a fresh take in demographics as well. Kahlief and Cicero are both Black, a group that is often underrepresented in both games and discussion. Something I particularly love is how unabashedly “Black” their show is. This is apparent in their slang and speech, sure, but also in the tone of discussion and their experiences. Furthermore, they have a music break that is typically hip-hop or R&B related, another relative oddity in gaming media. However, the “Blackness” of the show is not exclusionary; although the hosts stay true to themselves, they don’t at any point suggest that people who don’t share their interests and experiences are wrong. This is important, as it again shows us that there isn’t just one “normal” viewpoint, but several. Although racial diversity is a plus, gender diversity is very important and the main hosts just don’t cover that on their own. However, they remedy this by having women as guests on the show for various reasons—developers, program managers, critics, etc. And though they do delve into questions along the path of “What is it like to be a woman in X?” they (and the guests, especially) note that that isn’t the only thing they want to be known for. In other words, they don’t just want to be the-woman-who-fills-the-quota, but also someone whose opinion is valued on its own. The women from Code Liberation discussed this in Episode 44. Lastly, the hosts and show represent another demographic that I believe deserves more attention. The type of games that exist is extensive: fighting, platforming, story based, sports, shooters, and so forth. People often have personalities and interests that align in some way with their preference in games, and that is no different here. The hosts are sports fans, particularly basketball fans (without feeling like members of “bro-culture”). With this comes a love for the NBA 2K series of games. Video game fandoms and sports fandoms often don’t intersect, which I find to be a huge shame because of the parallels involved. Passion is passion! But as sports simulation games inherently have different goals than other genres, there is another sort of analytical view that can be applied to them. Kahlief and Cicero bring that mindset to the table not only for the 2K games, but other games and topics. They definitely cover other types of games, so if you aren’t a sports fan, don’t let this turn you away. But really, the viewpoint is new and refreshing. Other than being diverse, an important component of this podcast is its commitment to activism. I don’t want to give any more time to Gamergate as I’m more than tired of talking about it, but I do want to mention that they were among the first male-led outlets to publicly and openly (and gosh were they direct about it!) condemn the group and harassment that was going on (in Episode 33: A Line in the Sand). Beyond that, they ran a charity gaming marathon last month to support the families of victims of police brutality. The #Spawn4Good Gaming Marathon was a success in raising money for the family of Eric Garner and bringing more awareness to the #BlackLivesMatter campaigns. I enjoy games and believe that they have the potential to be a a very powerful art medium, but I also recognize that there are many important issues going on in the world that need attention. It is immensely inspiring to see a marriage of these ideas for positivity. Overall, I find the Spawn On Me podcast to be a breath of fresh air in the industry. I say it at least once a month, representation matters; not just in our media, but also in the fan work, criticism, and discussion of said media. (This topic was covered with the woman behind #INeedDiverseGames in Episode 36.) Hearing people who sound like me and also enjoy the same things I do makes me feel more welcome in my hobbies. It helps me remember that I do have a place here. These kind of voices are also positive for people from other demographics; it reinforces the idea that we are united under the same interests, and although we may be different, these differences shouldn’t separate us. 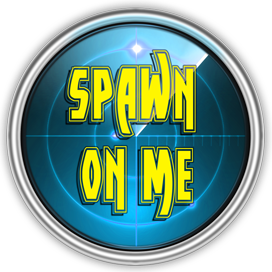 For this reason, I recommend you check out the Spawn On Me podcast or on Twitter @SpawnOnMe! This entry was posted in feminism, Racial Issues, Video Games and tagged Brookago, Code Liberation, I Need Diverse Games, Spawn On Me, Spawn Point Blog, video games, Web Crush Wednesdays by brothadom. Bookmark the permalink. I’m offended even by the word “Race” itself being used that way. We are all 1 race, the Human Race. We’re all the Sons and Daughters of Adam and Eve. I’m not sure if it is really fair to be offended by others expressing their identity. It is optimistic to want to view our society as a completely equal one, but we have a bit to go to get there. It’s the fact of what “Race” meant, there are different Ethnic groups or Tribes with different Cultures. But only 1 Race. I mean, ethnic groups are no more real or imaged than races. In either case, there’s a distinction between a biological reality and a social reality – race is real to the same extent class is, or money is, or anything else in society. To deny its reality is to ignore the effects it has on people. On the “Adam and Eve” part, though, I’m not sure about the theology there. Yes, humans are descended from Adam and Eve, but not exclusively – the sons of God also joined the bloodline (Genesis 6:4 – “The Nephilim were on the earth in those days—and also afterward—when the sons of God went to the daughters of humans and had children by them”). Some of those children may have married into Noah’s family. More, the Bible is very, very careful to point out that there are different lineages. All may descend from Adam, but all do not descend from Shem, or Ham, or Japheth. And only one was cursed – Genesis 9:25. Racists, of course, found easy comfort there. In any event, when the Bible discusses the origin of the nations, it puts far greater emphasis on their unique ancestors than their common ones. The products of Angel Human interbreeding are Giants, not the diseia Giantasism, but Og sized Giants who would make Brock Lesnar look small. They don’t effect Racial issues. Genesis 9 does not mean what Racists want it to mean, it was Porpehcy fulfilled before the NT era, and never relevant to anyone from Africa. Everyone alive todya is either from Shem, Ham or Japhaeth. and Ham wasn’t Curse,d Canaan was, and even tough many Canaanites were still treated a equals throughout the Bible. The nations named themselves after their Ancestors, which is the only reason The Bile uses that terminology. Mizriam is what Egyptians called itself, not the Greek derived Egypt. The difference between Ethnic Group and Race is that in origin Race was a Synonym for Species or at least Sub-Species. But people have chosen to forget that. Thank you so much for your awesome post, you totally get it and get us! Massive love to you all. Also “Unabashedly “Black”” is TOTALLY ON POINT. Glad you enjoyed it! And yeah, definitely something I’m happy to see being more widespread. While I appreciate you taking offense to the word “race” I take offense to the myriad black and brown people murdered senselessly by the ones charged to protect us. If I can agree that we are “all sons and daughters of Adam and Eve”, I believe that you can agree that there is a subsection of these people that aren’t treated the same within this country. I invite you to take a listen to our show. Maybe even start by listening to some of the episodes described in this incredibly well written article! Thanks for taking the time to read this article and for commenting! I’m a progressive like you. The Origin of Racism comes form defining people as different Races. I spend a lot of time trying to explain systemic racism to my idiot father. I appreciate both your passion for nuance and your understanding of culture and language. Also understand that, while you’re technically right, spending the time to correct someone’s use of a colloquially accepted term really stalls all of our ability to help our comrades in justice make the world better. Keep doing your work on your “idiot father” & others. Also, please know that you’re welcome to join us in our Spawn On Me’s fictional hometown of Brookago! 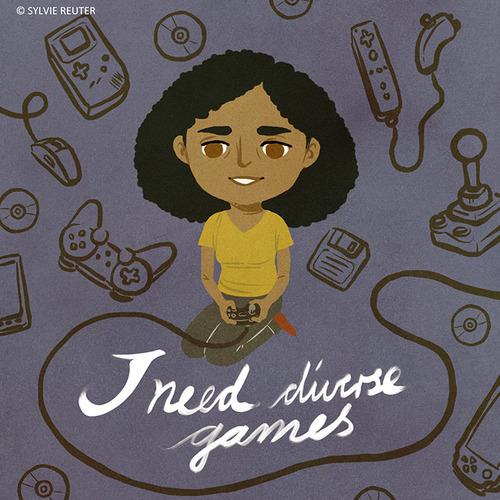 Thank you so much for the love for #INeedDiverseGames 😀 Very happy to see your post. 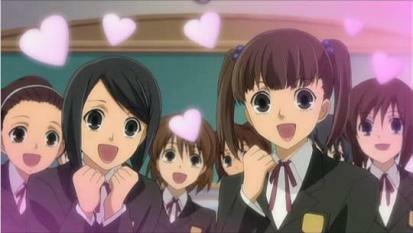 If you ever want to send us a guest post or holler at us on Twitter, tumblr etc we’d love to have your voice join ours.